I don't know what the hell is going on in Los Angeles, but no city has done more to recharge my love of rock music in the past few years. I don't want to overstate the case, because honestly everything I've been digging seems to come from a relatively small circle of players, all of whom are loosely in the orbit of Ty Segall and John Dwyer of Oh Sees fame. But so much is happening that I've missed the boat lots of times—most recently with Meatbodies, a wild, glammy trio led by Chad Ubovich, who's played with Mikal Cronin and also worked with Segall in Fuzz. 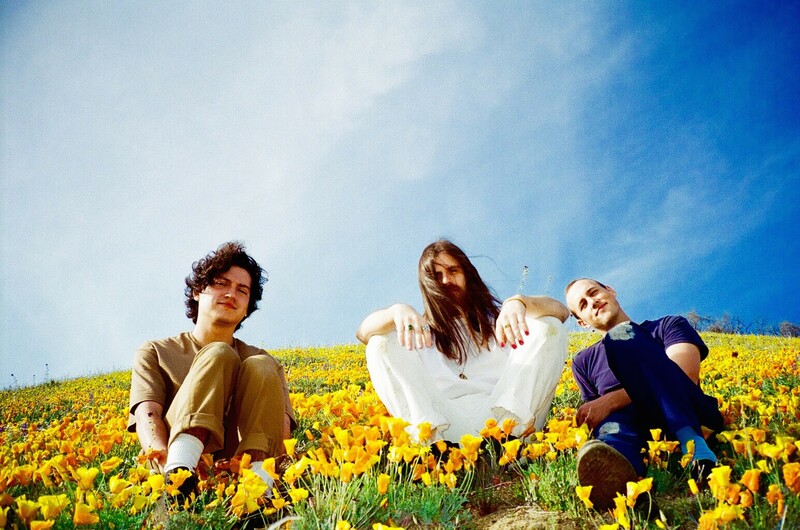 In February of this year Meatbodies released their second album, Alice (In the Red), and between Ubovich's needling falsetto cry and the band's raw slabs of fried guitar chords, I'm seriously hooked. The band's self-titled 2014 debut, also on the reliably great In the Red, is harder rocking and more hyperactive, but Alice isn't exactly sedate. On the new record, though, the overdriven guitar mayhem is leavened by infectious, driving acoustic strumming, swooshing electronics, and nimbler, more varied grooves that allow Kevin Boog's slaloming bass lines to strut their stuff. Ubovich channels a heavy Marc Bolan vibe throughout, emphasizing the nasality of his falsetto and complementing it with lots of wordless harmony vocals. The melodies are slippery but memorable, slithering through a diverse topography of chunky hard-rock gunk that folds together heaviness, whimsy, and trippiness into a kind of borderless pop nirvana. In anticipation of the band's performance at the Empty Bottle on Friday night, today's 12 O'Clock Track is one of the wiggiest songs from Alice, "Haunted History."